For decades, packing peanuts play a significant role in making shipping processes a success. Packing peanuts were introduced during the 1960’s. The original colors of these peanuts are white. But, through the years, additional colors such as green and pink were open for the users. Two of the typical shapes of packing peanuts are S and W that has excellent quality features. Packing peanuts also refer to packing foams or noodle. These are best for packing processes because it prevents damage to fragile items. One of the most famous packing peanuts is the biodegradable ones. It features no electrostatic charge and non-toxic qualities. Also, having Packing Peanuts Wholesale offers a great advantage for clients. They can gain comfort while packing and assures no damage items inside the box with reduced pricing structures based on volume. 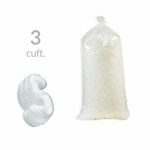 There is a variety of packing peanuts quantities you can choose. If you want to get the best quality, you can buy from our website. The items are affordable and offer an easy storage process. Customers have diverse colors they can select. All the items are affordable, so customers have the protection they need to pack their boxes. Also, the shipping process is fast and secure. The Packing Peanuts Wholesale process meets customer’s demands through fast service and quality. Customers have a sure way to achieve success in their packing needs. Buyers can expect to gain the impressive security of their fragile items while packing. The Packing Peanuts Wholesale offers an easy selection and payment process that customers would like. We can provide you with the best packing peanuts that assure you comfort in packing. For express orders, you can check for information on our website. If you’re building wooden boxes, you can have easy nail placement using the packing peanuts. Users can push through the tip of the nail with the packing peanuts. Then, they can start to hammer the box. After a few taps, it’s the right time to remove the packing peanut. The peanuts not only make sure fragile objects are safe. It also secures your safety when you use it in a different application. By having a Packing Peanuts Wholesale, you can apply glue to the packing peanuts. You can use it to glue boxes. The peanuts have an excellent quality surface that’s perfect for applying adhesive or glue. Packing peanuts also add to your comfort due to this process. People who are packing can make their fragile objects more secure with packing peanuts. You use to secure your corners of mirrors and frames. The packing process would be easy when you make sure your items have additional protection. Packing peanuts not only suit a fast packing process. You also can use these for leveling your decorations. If the dried flowers are too short, it would be best to put peanuts on the bottom of the vase. It can make the flowers taller. Homeowners would be glad to see an impressive decoration and packing peanuts are ideal for crafts and aiding in home decor. Place packing peanuts on the ends of scissors, knives, Skewers, and sharp gardening tools. Packing peanuts can be used over and over again. If you do not have any use for saving the materials donate to your local charity thrift store for packing customer purchases. Visit Pinterest's children craft projects with Packing Peanuts. There are many ideas to keep children busy while developing their artistic side.